In our house, I am the finance queen. Self-proclaimed. I do all our finances, pay the bills, budget, etc. Big-ish decisions like switching car insurances and the like are a joint decision, and I prefer Ben deals with those kind of things. But, for the most part, I do money. 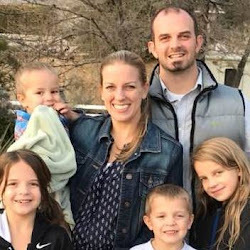 If you read my last post about where we are at financially as a result of Ben's surgery, you can understand the necessity for me to keep a tight reign on our finances and to do our very best with our money. I currently work. I would much, much, much rather be home with my babies every day, but working is a current reality for me right now to help provide for my family. Someday I won't have to work out of the house. Someday. To make that a reality, we need to do well with the money that God has provided us, and trust that God will provide for all our needs in the midst of it all. So how do you work toward financial freedom despite a current lack of money? Well, I'm no expert, but I'm going to list and blog about the most helpful financial decisions that we've found over the last 2 years, and how you can implement some of things for yourself, too, if desired. We will be financially free...someday. It will take HARD work, discipline, and dedication to get there. But we can do it, and so can you! Just because you don't have a lot of money or because money is tight, doesn't mean you should neglect a budget or avoid tracking your spending. You can't start tracking your money and planning how to save money if you don't even know how much money you have compared to how much you spend. A budget on paper is often different from what you actually spend. Our budget on paper used to look great, and we even had money to spare! The only problem was that we never, ever, spent within the boundaries of our written budget. The math is easy, though. If you spend $800 on groceries a month but really only have $400 in your budget, you will clearly be getting yourself into trouble very quickly. Pay attention to what you spend. Write every expense down. Then, set a starter-budget based on where you spend your money (and where you may need to cut back) and stick to it. Make adjustments, as needed, as you discover where your money is going and how much you actually need for a particular category. Be realistic or a budget will never work. Also, don't forget to budget for those bills that come quarterly or yearly (car registrations, oil changes, Amazon Prime enrollments, etc.). Divide the yearly bill by 12 and save that much EACH month. If you pull it out in cash and place it in a special envelope, you will be much more likely to actually save it for when that bill rolls around. When money is tight, you MUST stick tight to that paper budget! Schedule some time this week to sit down with your spouse and create a new budget (or revisit an old one). Envelope budgeting involves using envelopes and cash to budget all your money. When an envelope is empty, there's no more spending. Simple. This is a very easy and practical way to begin budgeting, even if you don't have very much income or when money is tight. I have done this for several years and it has been a life saver. For a while, though, I sort of neglected this. I have switched back to complete cash envelope budgeting for EVERYTHING except our rent, bills, and gas. This requires a little bit of time in getting the cash, separating into envelopes, etc., but in the last month and a half, cash envelope budgeting has helped me "find" an extra $120 for something necessary that is not in our budget (currently we are saving for a new car seat for Aaron and a new mattress for Zoe). Although those items are soon to be necessities, we don't have any money for them unless we "find" it from leftovers elsewhere. Mostly this has meant that I cut our grocery spending a little (and in case you're curious, we budget $400 for ALL consumable expenses per month for our family of 6 plus a dog). The simple fact is that you are much more aware and conscious of your spending when you have to physically hand over cash. Those candy bars you wanted? Suddenly they aren't worth giving up one of your grocery budget dollars in exchange. If you've never used the envelope system before, I encourage you to give it a try for a month. If you need some inspiring cute envelopes, check out my homemade envelopes HERE. 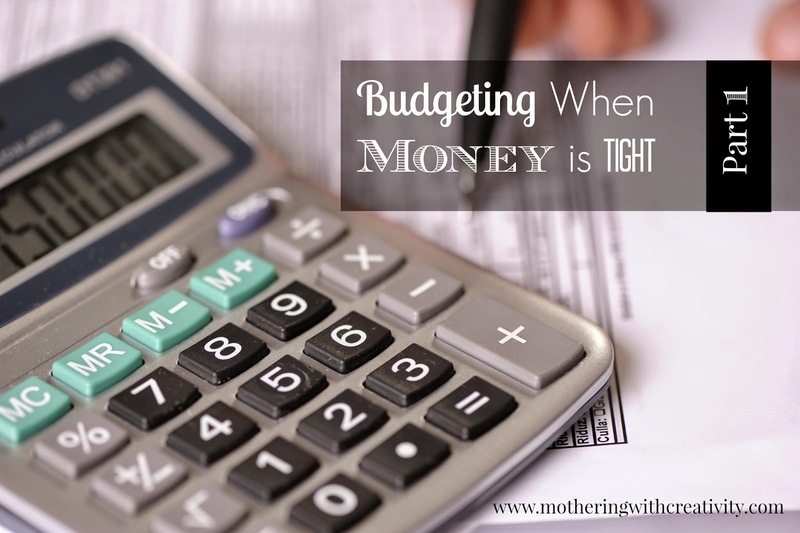 Click here for part 2 of the series & to learn more about budgeting when money is tight! that is awesome that you were able to find an extra 120 in your budget with the envelope system! that is a lot! It is a lot! We're pretty good with our spending anyway, but using cash & envelopes totally helps a TON! We are *almost* always able to save some extra each month when we stick to our cash!